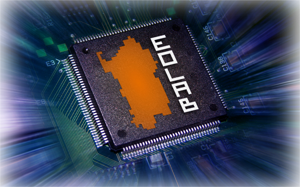 The EOLAB – Microelectronics Lab was originally established in 1996 within the Department of Electrical and Electronic Engineering of University of Cagliari with the aim of creating and developing strong skills in the field of both analog and digital microelectronics for the students of the Electronic Engineering program of study. Since then our skills have evolved and we have started applying signal processing techniques as well as embedded electronics and custom integrated circuits to specific biomedical applications. This part of our research has grown so important that in 2013 we changed our official name into “Microelectronics and Bioengineering Lab”.